It seems to be written in the duality of the human equation (experience/experiment) that there would always be Day People and Night People. Inevitably our brains are programmed to chose one over the other which sets the pace of our lives. The brain is an electrochemical machine that responds to stimuli and programmed with patterns of experience based on our DNA codes. This is what determines if we become Day or Night People. Some people become either Day or Night People due to work and other schedules, but still it seems the brain always has a preference. 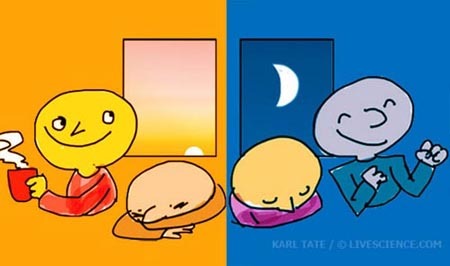 Are you a Day Person or a Night Person? I've always been a Day Person, noting that as soon as darkness sets in, my energy seem to wane and I get tired. I also sleep very well getting 9 hours of undisturbed sleep most nights. Luckily I do not take any medication which is unusual at my age 76 (born. 2/17/1943). Whatever your pattern - sleep is one of the most important ingredients to healthy living. As a psychic, therapist and researcher, I have noted that most people with emotional problems become Night People - perhaps linked to negative emotions, dramas, unresolved issues, anxiety, fears, and phobias. 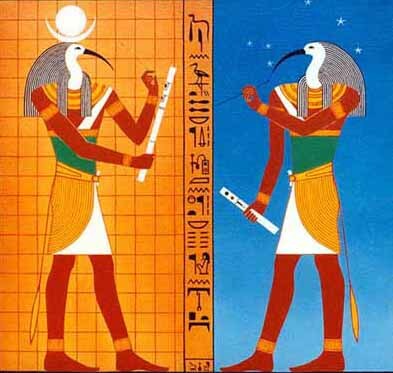 They often feel safer sleeping during the day when those who take care of them are awake, having a greater need be awake when it gets dark so they can connect with "dark energies" "dark forces" however they define their experiences. It is all about the brain and how it functions dictating life choices and realities. It's 6:30 a.m. For "early birds" or "larks," that's prime time. For "night owls," however, such an hour is ungodly. Most of us are neither pure lark nor owl. But we all know people who can spring out of bed at the crack of dawn or stay alert well into the wee hours. In recent years, science has increasingly shown why these extremes exist. Right from birth, our personal biological clocks are already wound. Genetics establishes a person's "chronotype," which is pegged to when his or her body feels up and at 'em. "People span the range of those who are very early risers to very late setters, and this is genetically determined," said Frederick Brown, a professor of psychology at Penn State. To a certain extent, behavior and environment - say, routinely pumping iron in a well-lit gym toward midnight - can shift our built-in predispositions. But for those of us squarely in one chronotype camp or the other, in the end, the body is the boss. "If you're a morning-type person, you can't become an evening type, and vice versa," said Brown. The underlying mechanism for our patterns of shut-eye is called a circadian rhythm. This 24-hour cycle of waxing and waning biological processes is found in almost all forms of life. In human circadian rhythms, body temperature varies over the course of a day, usually peaking in the afternoon and bottoming out in the early morning. Secretions of the hormone melatonin also crest during the night, for instance. The control center for the circadian rhythm involves two groups of nerve cells, called the suprachiasmatic nuclei (SCN), located in the mid-brain behind our eyes. "The circadian pacemaker has multiple projections in the brain affecting endocrine cycles, hormonal cycles Ñ pretty much everything about your body," said Donna Arand, clinical director of the Kettering Sleep Disorders Center in Dayton, Ohio. The interplay of a myriad of genes controls one's circadian rhythm. Back in 2003, researchers discovered a major player, called the Period 3 or "clock" gene. Early birds were more often found to have a longer version of the gene than night owls. Natural variances in the circadian rhythm account for sleep session biases. About half of the population falls in the middle - neither a morning nor an evening type, Brown said. These people can adjust more easily to changes in dozing schedules. An intermediate person can, without too much difficulty, get up an hour or two earlier than usual, and also go to bed an hour or two later than usual without too much of a problem,. The remaining half of individuals split evenly into morning or evening types, though this preference "ranges from mild to extreme," said Brown. Within the owl side of the populace, studies have suggested that around 17 percent of individuals have a clearly "delayed sleep phase," meaning they get tired later in the day than normal, according to Arand. True early birds are a rarer species. 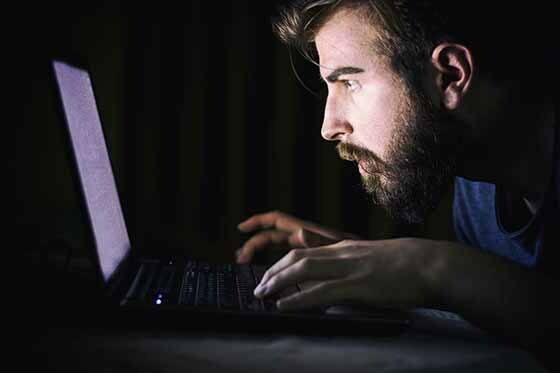 Just 1 percent of the general population has an "advanced sleep phase," Arand said, becoming very drowsy in the early evening, yet they are bright-eyed and bushy-tailed well before the sun rises. Each sleep-cycle group has a significant age clustering effect. During high-school and college years, hormonal changes and increased socialization prompt many adolescents to begin staying up late and sleeping in, Brown said. Some of the elderly do just the opposite, partly as a result of less activity and age-related medications that have a sedative effect, such as those for high blood pressure, Arand said. Despite these drifts in our dozing habits, people's true nature endures, Brown said. A large chunk of teenagers are in fact "wannabe owls," he said, while those with genuine preferences for the dim hours keep that schedule into old age. At the snoozing extremes are those small fractions of people with sleep-phase disorders. About 0.15 percent have delayed sleep-phase disorder (DSPS), in whichtheir biological clocks are skewed to sleeping very "late" into the day, at least by societal norms (Noon, say). The counterpart to DSPS, advanced sleep-phase disorder (ASPS), affects an even tinier sliver of the population, but the actual prevalence of both conditions is thought to be much higher. As might be expected, DSPS is far more common in the young and ASPS more so in the old. Because sunlight exposure cues circadian rhythms, bright light therapy is often used to help treat both conditions by resetting a patient's internal clock. Brown and Arand believe that one's unavoidable preference for morning or evening should not be considered bad or unhealthy. Society, they agree, should be more accepting of inherent sleep-and-wake modes, particularly of night owls, for whom adhering to standard business hours is arduous. "We know sleep is not a bad habit that can't be kicked." When the physical body sleeps, its conscious awareness (focus) shifts to the higher frequency experiences the soul is having. These experiences (dreams, other) do not stop when your consciousness returns to your physical body. You just change focus. Many speculate about the things they are doing in other grid realities once they fall asleep. 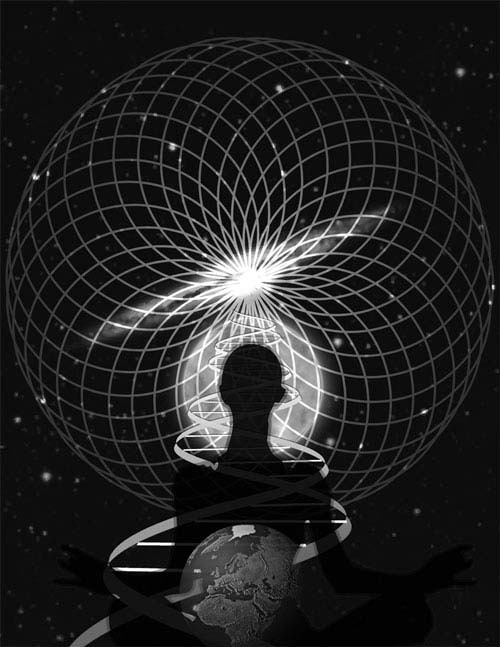 Anything is possible as consciousness is not limited to physical reality but moves through experiences in many consciousness grids simultaneously. Your sleep patterns and behavior reflect your DNA Programing in this Reality.